It has been pretty much believed throughout the ancient world into the first centuries of the present time, that women were just an afterthought of God. The believe also was that woman were only created to answer to the man’s bidding to take care of his home bare his children and take care of his needs. For many years the consensus was that women were the inferior species of creation, that they had little or no importance in the major scheme of things. When the fall of mankind occurred, it was just common knowledge that it was all the woman’s fault! This resulted in women being placed in a lower class, a subservient role or better yet, “into their proper place” of inferiority. Let’s take a quick panoramic view back to ancient Israel to see how women were viewed during the time before Christ. The Jews had a very dim view of women. Jewish women were denied the very necessities of life, the things that we today take for granted. They were not allowed to receive an education. Their only training was in how to raise children keep house and serve their husbands. Women were for the most part excluded from worshiping God. In the temple of Herod, there were special courts or divisions. On the very outside was what was called the court of the Gentiles. The Gentiles could go into the outer court, but they were limited to that area alone. Five steps above the Gentiles court was the court of women. The women were limited to this area only. Now notice that women were only a few steps above the Gentiles, those whom the Jews held in contempt. But, fifteen steps above the women was the Jewish men’s court. Men were elevated three times higher than women and four times higher than Gentiles. Jewish men were the only ones who could be in the actual synagogue. Thus, men were given far more privileges to worship God than were women. As a matter of fact, the prospect of a woman asking serious Torah questions, was so heinous that Rabbi Eliezer (one of the most prominent Sages of the 1st and 2nd centuries in Judea), declared that he’d rather see the Torah burned than taught to women. those days, a woman didn’t even have a voice in her own marriage. Her father decided whom she would marry, he decided when she would marry, and why she would marry. It didn’t matter if the woman liked, loved or despised the man if her father arranged the marriage there was nothing she could do about it. It didn’t matter if the intended bride groom was as old as the woman’s father she was obligated to marry him anyway. The marriage itself was usually an agreement that would benefit the two families involved. A woman couldn’t divorce her husband under any circumstance. If the husband was abusive or cruel it was nothing she could do about it, that was considered his right. She had no recourse to take except stay there and take it. Now the man on the other hand, could divorce his wife for something as minor as burning the bread. No matter how small the offense, if the husband put away the wife in divorce she then became a scorned woman. It was the custom of the ancient Jews that Jewish women were not to be seen in public very often. Consequently, most women stayed out of the streets except to get needed supplies and staples for their home. There were even set times of day that women were allowed to do their shopping and get water for their household. Young men were instructed not to talk to women in public. This was such a strict rule that it became a shame for a man to talk to a woman in public. Praise be to God. He has not created me a Gentile. Praise be to God. He has not created me a woman. Praise be to God. He has not created me an ignorant man. This for all accounts were men’s view of women in first-century Israel. It was not much better in other cultures. In fact, since the Fall of mankind, women have been regarded as second-class citizens—inferior to men. But is this truly how God intended for women to be treated? Were Women just an afterthought in God’s mind? Did God create women to be servants to or slaves for men? It is nearing the end of the sixth day, coming to the close of the Creator's great labor, when the image of God, Adam, the master’s triumphant work steps forth, the one who alone at this point is pronounced the son of God. After creating the heavens and the earth and all that there was in it, there seems that something is missing something is not quite right. Something is lacking there was a missing element, so all wasn’t good. You notice that after the Lord made the statement that is not good that man be alone he did not instantly make women instead he first formed all the animals and brought them to Adam. Even with all the animals and the beautiful Garden the picture wasn’t complete. All the animals had mates something to which they were equal. God had created everything in the first 5 days of creation. Then on the sixth day He made man from the dust of the ground, but God knew that it was not good that man should be alone we then see that God made the birds and cattle upon the earth and Adam was to have dominion over all these creatures who like Adam, had been formed from the ground. God took each one to Adam to be named. But there was none found that could be a help mate to him. This final act then becomes the crescendo, the final astonishing work of God. She is the cherry on the Sundae the icing on the cake, Woman. In one last flourish, then creation comes to a finish not with Adam, but with Eve. She is the Master’s finishing touch. Eve is ... breathtaking. Given the way creation unfolds, how it builds to ever higher and higher works of art, can there be any doubt that Eve is the crown of creation? Not an afterthought. Not a nice addition like an ornament on a tree. She is God's final touch, his pièce de résistance (the most important part). She fills a place in the world nothing and no one else can fill. Adam had to have someone that was equal to him someone to stand by him to communicate with him and to understand him. The animals couldn’t do that plus he had dominion over the animals and you cannot be equal to that which you dominate and control. Eve is the glory God gave to Adam as a gift. She became the Glory of Man (1 Corinthians 11:7) God gave his Crowning work to be the glory of man. Woman is the Favor That God gives to man. (proverbs 18:22) Whoso findeth a wife findeth a good thing, and obtaineth favour of the LORD. Keeping in mind that Woman was the crowning glory, the crescendo of God’s creation then one can see now why Satan came along and tempted and deceived the woman. It is Satan’s goal to discredit man and dishonor God and what better way than to cause the last, ultimate masterpiece of God to fall? So, he comes to the woman with a question “Did God Truly Say...?” Satan understanding that God had told Adam and not Eve about the tree he was pretty sure she would give him an opening to deceive and tempt her. But God in his infinite wisdom already knew this was going to happen and he had already prepared for this very incident. This is the point where war was waged against Satan and the weapon God was going to use was WOMAN! The very thing that Satan had tried to make fall and thus destroy is the very thing God uses to destroy him. And I will put enmity between thee and the woman, and between thy seed and her seed; it shall bruise thy head, and thou shalt bruise his heel. (Genesis 3:15). What this says is that Satan and the woman will hate each other; His descendants and hers will always be enemies. Could this be the reason that Satan tries so hard to defeat women, tries to make women feel inferior and worthless? The reason he wants to keep women subservient and dejected? Because he understands that “Women are God’s Weapon!” That in actuality Woman is God’s true crowning glory? We could go on and on but hopefully we have a better understanding that Women are God’s Weapons. Women are not an afterthought of God or just objects to be used to satisfy a man. Nor are they just objects of lust and sexual fantasies for society to exploit. No, women are the end time weapon that will be used to defeat the enemy. Throughout scripture we have learned that it was through women that God worked to bring about some of His greatest accomplishments so what makes us believe that He has changed his mind about women now? 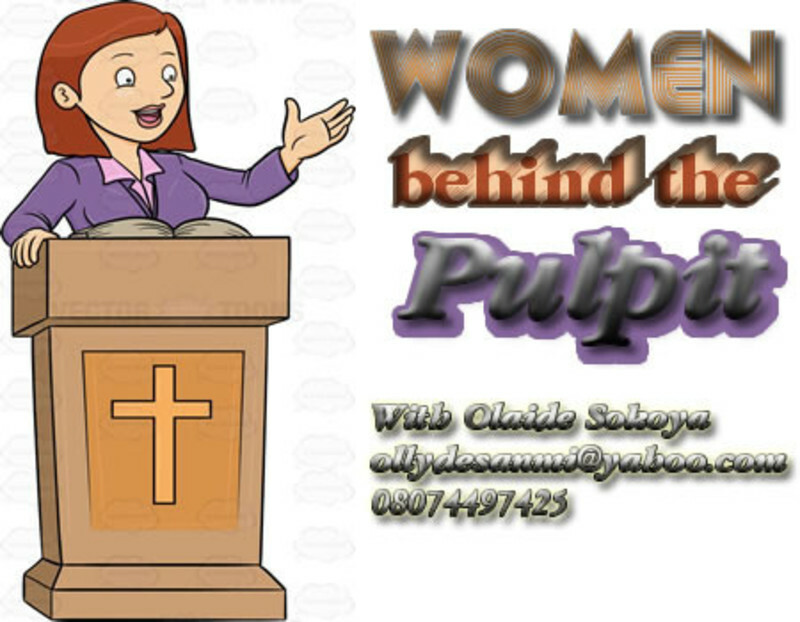 But, when we see faithful, devoted and dedicated women of God arising, get ready for the battle to take place.